We've been blogging since...almost before blogging was a word. Pick a category and learn about life in southwestern Montana. Back in November, which means before the extreme cold snap and mountains of snow descended on us, I wrote a post explaining what was going on in the market. There was a strange doomsday rumor circulating, that everything was going to crash, and there would be deals galore. This attitude mirrors what I was hearing last fall. Some conversations hinted that people were even secretly (and not so secretly) wishing for this to happen, so they could grab some deals. It's OK, it's human nature to approach scary things from a self-preservation standpoint. Yeah, 2008 was ugh-lee! We were all there, we remember. But look at the chart, three of the last four recessions show appreciating home values. The other MAJOR factor: Lending is a completely different animal than it was in 2008, everything about it has changed. Specifically to prevent another occurence like we saw then. From the trenches, I can share that the market is active, it started out earlier and faster for our office than it did last year, and while some properties are sitting on market longer, I still believe that's due to poor pricing out of the gate, or an inherent flaw in the property as well (busy street, needs updating, etc) so rest assured, with these insanely low mortgage rates we are seeing, real estate remains a solid value. We always run a comparative pricing analysis for our buyers before we write an offer, so you know how the house you want is positioned against similar properties in terms of list price. This helps prevent problems with appraisals, and gives you peace of mind that your offer is backed up by data and not just emotions. Whadda ya say, shall we get started? Picture this: You are sitting in a hallway, waiting for a stranger in a suit to size you up and decide if you’re worthy as a potential homeowner. Your palms sweat and your breath gets a little quicker. You’re one step closer to owning your own home, but this one is a doozy -- you are waiting for your appointment for your mortgage pre-approval. Stop! It doesn't have to be scary. Let’s quickly talk abouat the mortgage pre-approval process, step-by-step. You may already have a pre-qualification letter saying that you can probably buy a house in a particular price range, so why isn’t this enough? (Don't have that, we definitely need to talk) A lot of homebuyers find this next part of the process confusing, and frankly, it can be. We've got your back on this one. Your pre-qualification was probably done over the phone, through an internet application or during a meeting with a lender. Many people start with where they bank. This may or may not be the right place to end up. They asked you a bunch of questions about your income, your job and maybe even pulled a “soft” credit report to get some idea about your debts. Based on this information, they gave you the details on the kinds of programs you’re eligible for and how much you can expect in buying power. You probably got a letter that you could show your Realtor to help guide the buying process. The difference between the pre-qualification and the pre-approval is simple: a pre-qualification is based largely on your word. If you give the lender incorrect information, they’ll give you a pre-qualification letter that’s not right. Your next meetup with the nice lender is going to be to deliver (or email) documents, provide consent to pull a full credit report and, if you’ve already found one, give them the information on the home you’ve put under contract. Make sure you have your signed agreement with your chosen agent as part of this process also. It's a team approach that will get you through this. You’re going to get a copy of something called the Loan Estimate Form (names may vary by lender), probably at the same meeting where your lender pulls that full credit report and takes all your papers away. This form explains exactly how much they expect you’ll need to bring to closing, along with itemized estimated fees to plan for at closing. If you’re shopping your loan, collect these and compare them side by side before you make your final choice. If you haven't found a home to purchase yet, this will be general. Ask your lender to contact your agent (hoping it's us here) and share details about how much you qualify for and other details that will help us to write the contract in the most competitive way. Once you’ve had a few minutes to review the paperwork and you’ve made your final pass through the numbers, all that’s left is to call the lender you’ve chosen and let them know you need that pre-approval letter sent over to your Realtor (hello again!) We will note this is the contract and attach it to your offer to show the seller of the property you want to buy that you have done your homework and are indeed a qualified buyer. 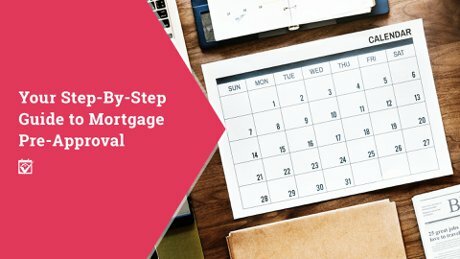 The best plan is be totally honest with your lender when you get your pre-approval so that you don’t get a last minute call telling you that your loan has been denied (this actually happens, so pay everything on time and don’t take out new credit lines or add to old ones until you’ve got the keys in your hand). It can be daunting to share personal information with someone new, especially if your facts are, um...less than stellar. Remember, there is no judgement here, by either us or your lender. We are all working together towards a common goal. Ideally, you should have a pre-approval letter in hand before you so much as set foot into the first house you’re considering for purchase. In fact, we require our buyers to complete that step first. After all, the seller isn’t going to think you’re all that serious without one, nor will they be keen to want to negotiate under these circumstances. If you have an agent showing you houses without one, they aren't doing their best job for you. Help your lender help you get the best deal on the house of your dreams, save everybody a lot of headaches and get that pre-approval first. Knowing how much your closing costs are going to be will also help your Realtor write your contract accordingly if they should need to be wrapped into your mortgage. We can help you with this also, during the househunting process. Finding a banker you can trust these days couldn’t be easier. The first and best stop is to ask us. We have a list of vetted lenders and brokers we have worked with, and can help match make you with the one that suits your situation best. Check out your current bank, and at least one or two others. Some homework up front will make sure you don’t get a big surprise a few days before closing. We are here for you! Here's what some of our clients say about working with us. You have probably been noticing more price reductions, and more properties coming on market lately. Many people have been waiting for a change, a shift from the crazy lack of inventory and bidding wars that we witnessed earlier in the year. Some of you (hello buyers!) 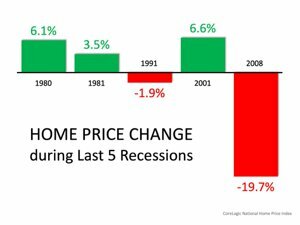 are hoping for a crash in prices like we saw in the middle of the recession. This is not going to happen, peeps. Sorry to burst that bubble. Why? Today's market is very, very different from what we had back then. Lending has changed, different buyers are bringing money to the market. Heck, even how appraisals are done is completely different. Still with me, or are your eyes glazing over? Are you looking for houses every day (c'mon you can tell me) and hoping the rates will stay low through spring so you can get serious? Those price reductions you have been seeing pop up everywhere do not mean the market is coming down. Rather, it means sellers (and the agents working with them) are finally adjusting their expectatations for those particular homes. This is good for you -- this grounding means more reasonable prices. But, it also means more buyers will come out of hibernation earlier in the spring. Heck, it's hard to wait that long after you've been looking. The average square foot pricing of sold homes (not active) has stayed pretty steady lately. Contrary to popular thought, buyers can't always see everything that's out there for sale. Case in point: A condo coming on market at a great price was just shared to me by another broker. We talk to each other...a lot. We know what's coming on market, what just fell out of contract, and what price adjustments are likely to happen soon. Try getting Zillow to share that info with you. This, my friend, can be a secret weapon. The websites that churn out those new listings and spit them out into your inbox each morning do not show you the ones that went under contract the day after going on market, and then, very quietly, came back on. The older a listing is, even if it showed it face very briefly, makes it old news in the web world eyes. I can find that gem for you. Step away from the HGTV. I know Joanna and Chip or the brothers told you your new home should have everything done/easy/glowing so all you need to do is change the color of an accent wall and add a doggy door for your pooch. Real life is quite different, so work with an agent (hello there handsome!) that can visualize what really needs to be done, what costs bucks and what is easy. Don't underestimate the ugly duckling property that's waiting for a bit of elbow grease. Not handy you say? All fixer-uppers are not created equally. Let's go find the one that fits your style and budget. Did you grit your teeth and hunker down in your chair a bit when you came to this part of the story? Are you thinking that some parts of our market are slowing, but yours is bulletproof? You've got that house that everyone wants, at least that's what all your friends and the agent friend that wants your listing told you. Here's the thing, no one knows where our market will shift, or when it will happen. 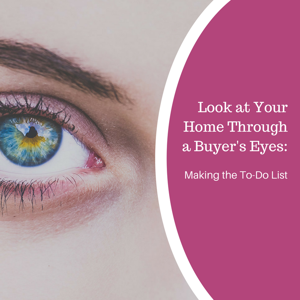 By placing your home in front of the right eyes (targeted marketing) and thoroughly analyzing trends in your specific neighborhood (custom analysis) and staging your property for photos (pack up those doilies and family photos) you will position your home properly right out of the gate. There's no time for testing the market with a price that's too high. Nail it early, and you avoid the extra months of mortgage payments and overhead. Then you can move on with your life. One of the best things you can do as a seller is to choose an agent that's going to be upfront and honest with you. It may seem tempting to choose the one with the lowest commission and highest promised price, but this can be costly. At the end of the day, you want to net the most money for you home possible. That cut rate brokerage won't have the marketing prowess to put your home in front of the right buyer eyes, and won't take the time to constantly update their research to make sure their marketing is getting hits on the internet. And most of all, the agent that promised you a couple percentage points less for their commission -- how are their negotiation skills? You don't want to be left high and dry making all of the little nuanced decisions because they are inexperienced, or really just want their check. Choosing the wrong agent (Aunt Tammy, Cousin Jack) may feel right when you are talking turkey at the holiday table, but let's think about that stomachache you'll be fighting two months out when your listing is collecting dust and Jack is on the slopes or thinking about giving up on real estate because he can't make a go of it. Get in touch with us, and we'll share our book Preparing for a Successful Sale with you. Picture this: waking to the sound of live water flowing right outside your very own home. Jumping into your ski boots and hitting the slope you can see from your living room window. You don’t have to call ahead for reservations, you don’t need to ask anyone for a key or have a check-out time. It’s all yours to do with as you will, and you’re going take advantage of it constantly because now you own your very own vacation home. 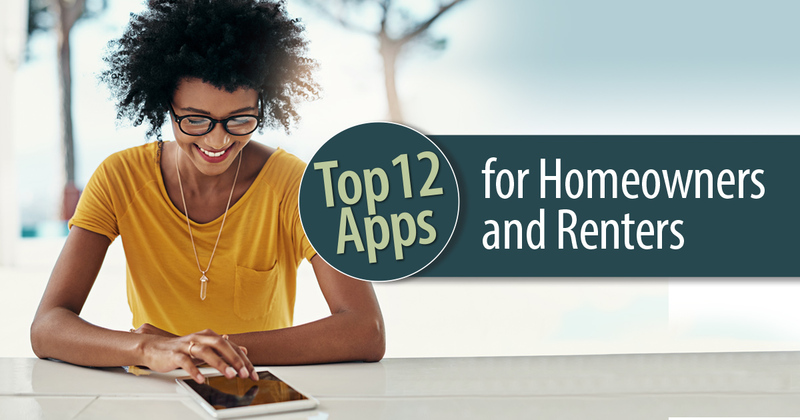 Not to burst any vacation home-shaped bubbles勞, but before you get too lost in the fantasy, let's consider some of the many pros and cons of owning a home away from home. As the real estate market begins to respond to financial pressures from higher interest rates that are likely to increase further, as well as trade wars and tariffs with some of the country’s best trading partners, more people are just waiting for their favorite vacation spot to experience a market correction. If you’re one of them, don’t jump into the vacation home market without seriously considering what you’re doing. Plan your plan, so to speak. What if you and the friend or relative don’t like the same ski resort, or prefer fishing the Gallatin over the Yellowstone? What if you can’t agree on the property to purchase? Will you be resentful the rest of your life? 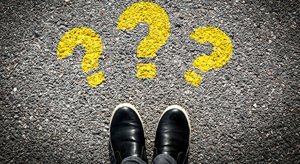 Most importantly, perhaps, is what to do if your co-borrower has poor credit, can’t come up with their part of the downpayment or is otherwise creating a giant problem for your mortgage? After you’ve actually bought the property, who pays for what repairs? Don’t buy with friends or family, but if you do, get a lawyer to draw up a maintenance and payment agreement that you both sign to get everything on paper and make it official. Sounds harsh, but remember, this is an investment. They may still lend to you, and there are some loan options that allow really low down payments for second homes (ask us for referrals) but they’ll want to see that you have anywhere from two to 12 months of reserves on hand. If you’ve not heard the term before, “reserves” are funds already in an account somewhere that are equal to a certain number of months’ worth of payments for both of your homes. This also includes anything wrapped into your payment due to escrow, like homeowners’ insurance and taxes. If a friend or relative lives nearby, you probably are set for someone to look in on your place, but if not, you’ve got to get this part figured out before you sign on the line. Just like an occupied home, your vacation home will develop problems over time. Wear and tear happens even when you’re not home and pipes love to freeze and burst when no one’s looking. You have to have a plan. We work with vacation suppport companies that will check your property regularly, prepare it for your arrival, and clean up after you leave if you'd like. You should really hire a handyman, property manager or support person to keep an eye out and call in help when necessary. That’s a cost you’ll have all year, so make sure you figure it into your budget. Since your property is a vacation home, it will also require more expensive insurance coverage, as well as specialty insurance if it’s in an area where floods, hurricanes or earthquakes are common. 4. Renting it out when you’re not using it makes your vacation home a rental, not a vacation home. This one is important! You absolutely can rent your vacation home from day one, provided that you purchased it as an investment home. This is a lending distinction to think about. Some buyers think this will save them a bunch of money, since someone else will take care of it part of the year, at least. The truth, as usual, lies somewhere in between a glorious rental partnership and a home that’s been burned to the ground. If your neighborhood, for example, won’t allow AirBnBs and their ilk, or has strict rules about maintenance, you are responsible for the rebound from missteps there, no matter how good your renters. 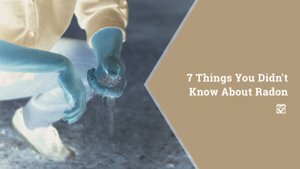 If you still have the stomach for a second home after running through this list of things to consider, then proceed with caution and let us help you find that property match. Don’t buy a project house unless you have someone else to do the work and even then, make sure that the only thing you do at that vacation home is relax. Going on vacation just to stress out about the lawn isn’t a fun kind of vacation, you know? Wondering where you’ll find all the people you need to help keep your vacation home in good shape, whether you’re renting it out or just visiting on the weekends? Ask us, we have resources from the best handyman around to a vacation property support company who can keep your property in great shape. Aaack! With so many choices, it can be tough to be productive. P.S. We do color consulting for our client! If you’re thinking of buying or selling your home, or know someone who is, please keep us in mind because we’d love to help! Here are some more posts in our Buyer Intelligence and Seller Intelligence blog categories. First time buyer? Get your goodness here. I know this is a popular catchword these days. Your family photos and personal mementos are often your most treasured possessions. For many of us, they are what make a house a home. However, buyers will have a hard time envisioning themselves living in a place if it feels like YOUR home. 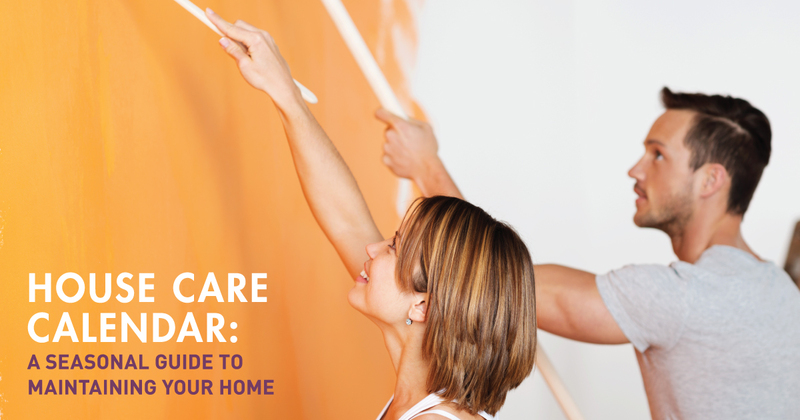 One of the quickest and most cost-effective ways to neutralize your home’s decor is with paint. Walls painted in dark, bold or bright colors can turn off buyers. A fresh coat of paint in a neutral color like greige (try Benjamin Moore’s Revere Pewter) or warm white (such as Kelly-Moore’s Rotunda White) offers a clean palette upon which buyers can visualize adding their own personal touches.4 We can also help with oversized color swatches and color advice. 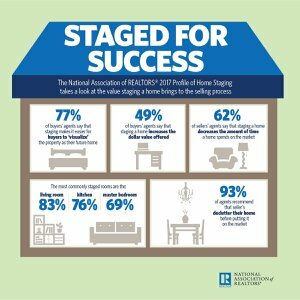 We offer our Level One staging services as part of our marketing package for all of our sellers. If you are considering working with us, we are happy to provide a seller consultations and will walk through your home with you to help you assess which projects and upgrades are worth your time and money, and which ones you can skip. As local market experts, we are intimately familiar with buyer preferences in your area. We’ll run an analysis to determine how your home compares to others currently on the market, as well as those that have recently sold. Then we’ll tailor a custom staging plan to suit your particular property, budget and needs. Please call or email us today with questions or to schedule a free consultation! Check our our dedicated Facebook Page for staging here! The good news is, by dedicating just a few hours each season (note I did not say week or month) to properly maintaining your home, you can ensure a safe and hopefully financially valuable investment for you and your family ... and actually increase the value of your home by one percent annually!1 You just need to know where and how to spend your time. Use the following checklist as a guide to maintaining your home and lawn throughout the year. After a long winter, planting spring perennials is a great way to brighten up your garden. It’s also a good time to prune existing flowers and shrubs and remove and compost any dead plants. Make sure they are set to run counter-clockwise in the summer to push air down and create a cooling breeze. Utilizing fans instead of your air conditioner, when possible, will help minimize your utility bills. If you put a garbage bag around each blade while you clean, it will keep the dust from falling. Help cut down on summer utility bills by cleaning your laundry dryer vent at least once a year. Not only will it help cut down on drying times, a neglected dryer poses a serious fire hazard. A vent cleaner or chimney sweep can usually provide this service. Your lawn will probably need regular mowing in the summer. Adjust your mower height to the highest setting (please), as taller grass helps shade the soil to prevent drought and weeds. Or better yet, ask me for info on no-mow meadow seed blends or plugs to change your lawn over to never mow! Fire safety experts recommend that you have your chimney inspected at least every other year and cleaned periodically, depending on how much you use it. Complete this task before you start using your fireplace or furnace. If you have a sprinkler system, drain any remaining water and shut it down to prevent damage from freezing temperatures over the winter. If you bought a house this year, and it's your first time doing this, make sure to get on the schedule early (call early-mid September, ask me for referrals). Make sure pipes are well insulated, and keep your heat set to a minimum of 55 degrees when you’re away. If pipes are prone to freezing, leave faucets dripping slightly overnight or when away from home. You may also want to open cabinet doors beneath sinks to let in heat. Ask a friend or neighbor to check in with the house if it's empty for more than 3 days in our deep winter months. While this checklist isn't a complete list of your home’s maintenance needs, it can serve as a general seasonal guide. Systems, structures and fixtures will need to be repaired and replaced from time-to-time, as well. The goal is to get familiar with spending a bit of time each season staying on top of these things. I have a pretty extensive network of trusted contractors and service providers and am e happy to provide referrals! Call or email me, and we can connect you with one of our preferred vendors. When I started writing this post, green grass patches were appearing all over. Robins singing, blackbirds chattering amongst themselves. Then, more snow. If you live in Montana, you know all weather is fleeting this time of year. You'll be back at it soon enough, so take this short break to plan your attack as soon as this latest storm melts away. 1. 20 slides in 20 seconds at Pecha Kucha. 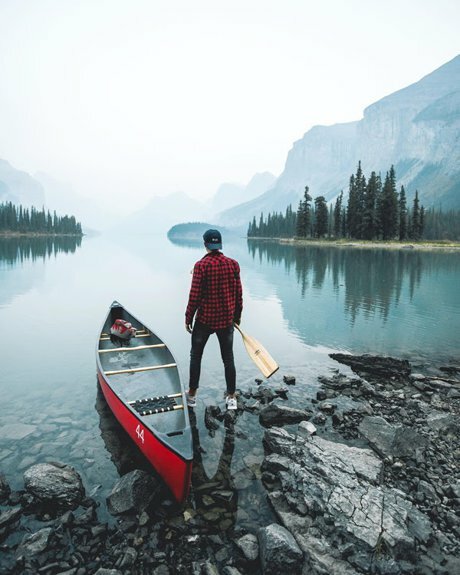 What: Each presenter has that much time to tell their story, from a mountain climber who nearly lost his life in Nepal, to the joy of living in Antarctica to musings from a former mayor. Tip: Park in the downtown garage on Mendenhall and drop in for open mike night across the street at Wild Joe's Coffee Spot before the event. 2. Pick a trail, any trail with the Gallatin Valley Land Trust Trail Map. What: Decide if you want to be near a stream, overlooking the city or tucked away in the trees. Then go forth and wander. 3. Get your blood pumping with the Big Sky Pond Skim. What: Celebrate the end to an amazing ski season, put your costume on, launch off a ski jump and skim across the pond (or just watch your friends try it). Tip: Carpool or take the bus in. Skyline bus transportation leaves the Town Center for the Resort every half hour, from 9 am to 5 pm, on 4/21/18. Bus service leaves Mountain Village twice an hour, during that period. 4. Grab a pizza at one of these spots. Spend a day in Livingston. 5 hikes for people who hate hiking. Selling your home is one of the most tricky parts of owning a home, but it can be deceiving at first. There are always little projects that you meant to get to and didn’t, and things that probably weren’t perfect, but didn’t bother you enough to fix. You can’t possibly do everything to make your house like new before putting it on the market, but there’s a minimum level that most buyers will expect. At least if you expect to get top dollar. Before you get too serious about selling, it’s a good idea to have your Realtor over for a quick walk through. They can give you a punch list of items they believe should be updated, fixed or addressed in some other way before you sell your home. 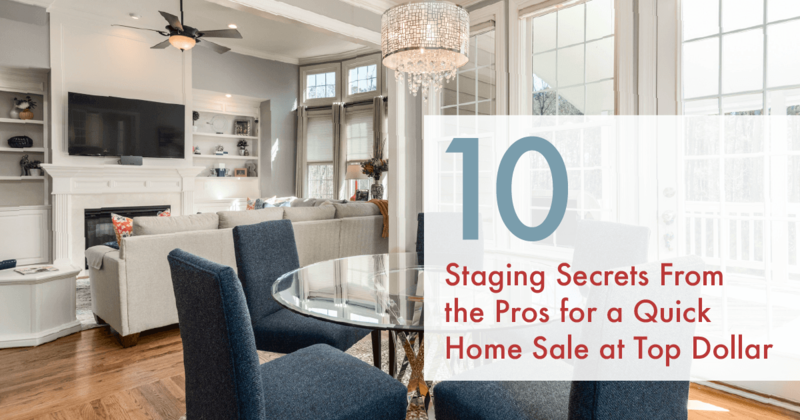 We also add staging to that list, so you have a room-by-room list of what to keep and what to pack in preparation for photographing your home and putting it's best foot forward. 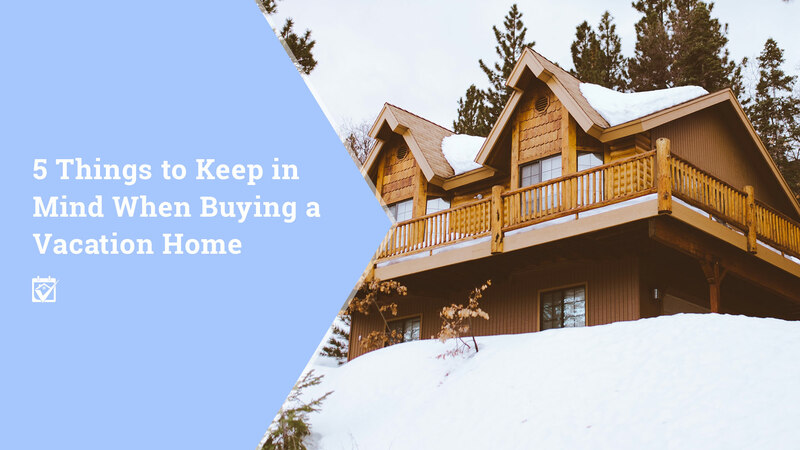 You never know when the right buyer will walk through the door, so your house needs to be ready to go from the moment you put it on the market. This alone is often your biggest key to sales success. That doesn’t mean you need to completely gut and remode, but you should make sure everything is in proper working order and ready for a new occupant. That can be a lot to wrap your head around. If you are already overwhelmed, start with the list below. The moment that door opens, and even before it does, your potential buyers are forming an opinion of your home. What the open door reveals needs to better pack a punch (or at the very last not leave them puzzled or unsure). Make sure that the windows are sparkling clean to let in as much light as possible (ideally remove the screens and stash them in the garage or storage space), that all your light bulbs are working , the flooring is clean and in good shape, any tile grout is solid and the walls are flawless. A neutral color is always a good idea, Blues, light grays, beige and creams are also all good choices for paint colors. If you need help choosing the right shade, we can help with that. Your dining room should follow the same advice as your living room, with one exception. Since there’s probably some amount of eating that happens in this part of the house, you’ll want to check the flooring to ensure there’s no stains or spots under the table, or a noticeable spot where the dog likes to lie in wait for cherished crumbs. If this area is carpeted, don't cover spots with a rug, this could be considered a “hidden, latent defect.” Basically, it means that you’re hiding damage from a potential buyer. And then what happens? They start picking up rugs everywhere, looking for more spots. That then becomes their focus, rather than all the great things about your house you've worked hard to highlight. Bummer. Call a professional carpet cleaner or just own up to the flaw and discuss options for addressing this your agent should a buyer ask for the carpet to be replaced or cleaned before closing. Planning ahead can avoid additional stress. If there's damage or deferred repairs you can't fix before listing, make sure they are disclosed in the paperwork your Realtor provides. Bedrooms are the next hardest spot to tackle, especially if you have kids. If you’re still living in the house until you find a buyer, invest in some storage systems — they’ll pay off in the long run. Organize everything as best you can to give the rooms the appearance of more space, clean the windows, using solid colored bins so you can't see what's inside. Install new lightbulbs, clean the carpets and come up with a plan to keep things need so it's not a stress bomb each time you get a showing request. If anything can be moved out to a storage unit, do it now. You'll be packing it anyway! We have ideas for storage that can make things easier, so just ask. Bathrooms are alot like kitchens, they have a lot of moving parts. That being said, they also pretty much have the same punch list. The only addition would be the shower or tub. Check the faucets and showerheads for leaks and make sure there’s no mold on your tub or shower surrounds. Clean that stuff within an inch of its life and if you can’t get rid of the stains, recaulk. It’s an easy way to make that tub or shower look like you’ve never even used it. Trust me, this needs to be a priority. Buyers don't like dirty tubs and showers, even if their own is in worse condition. There’s not a lot to do in the garage, but do make sure your door opener is functioning properly, that the wheels on the door are lubricated if it’s making a terrible sound when you open it or close it and that you’ve cleaned up as best as you can. If you don’t really use it, you can dress it up a lot by applying an epoxy coating to the floor. The kits run around $100 and, although they don’t add any value to your home, they’re pretty impressive and beat an old, stained concrete floor. Overall, it’ll help a lot if you run around your house and make sure that all your lightbulbs are fresh, all the windows are cleaned, you remember to leave the blinds open during the day and that the paint makes each room feel bigger. The key is to bring in more light and then use lighter colors to keep it bouncing around the room. A new coat of white ceiling paint won’t hurt your efforts, either. When decluttering, think "wall space." I like to say that the more space I can see where the walls meet the floor, the emptier the room will be and the bigger it will look. Paint is great for a lot of reasons. It can seal in smells you might have never noticed, as well as giving the house the scent of fresh construction. That smell paints a picture for a buyer that says this house has been taken care of and they can trust that it’s in good shape. When it comes to the landscape, keep the lawn mowed (likely more often than you are used to), trim plants around the house, clean up any projects that you started and never finished (this is a biggie). Landscapers and trash haulers can help a lot. If you have metal lying around, it's likely you can find a metal scrap hauler who will gladly come and relieve you of those things. You’ll also want to check out your roof and gutters to make sure they’re in good shape because your potential buyers will be doing the same thing during their inspection. Removing anything you know they might use to negotiate on price with ahead of time is the goal here. The first thing a buyer sees is the view from the street, make sure you run out there during the outdoor prep work to check your look. I even encourage my sellers to sit in the passenger seat and drive down their block, looking at each house and then their own to see how it stacks up. This is what each buyer will be doint. When you start to wonder if you should actually sell this amazing house at all, you’ve probably got the curb appeal knocked out. You don’t have an unlimited timeline, that’s pretty common. But, your home should be ready to sell if you want to get top dollar. We often advise our selles to contact us at least three months before their target date if possible, as that allows plenty of time to knock down the list. If it's too late for that, or if you can’t do the work, just call us and we'll help you prioritize with the timeline you have available. Visit our Facebook Staging page for more tips.